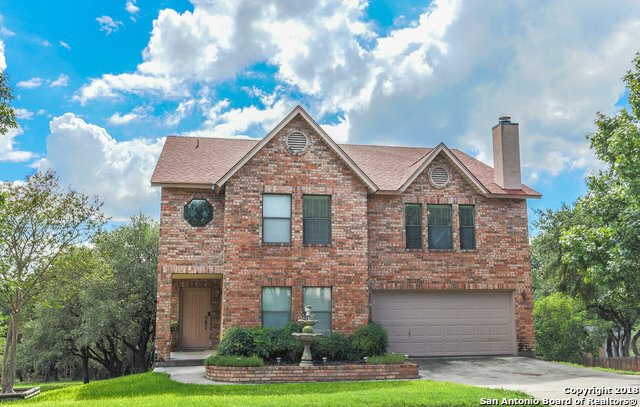 All GOLD CANYON homes currently listed for sale in San Antonio as of 04/25/2019 are shown below. You can change the search criteria at any time by pressing the 'Change Search' button below. "This large family home has been extensively rehabbed. The substantial kitchen has custom cabinetry, beautiful granite countertops, modern backsplash and stainless appliances. The entire family can gather around the island and breakfast bar. A dual fireplace is enjoyed in the living area also. Modern tile flooring completes the look. Both the large backyard with mature trees and the quiet cul-de-sac make this home perfect for a family. 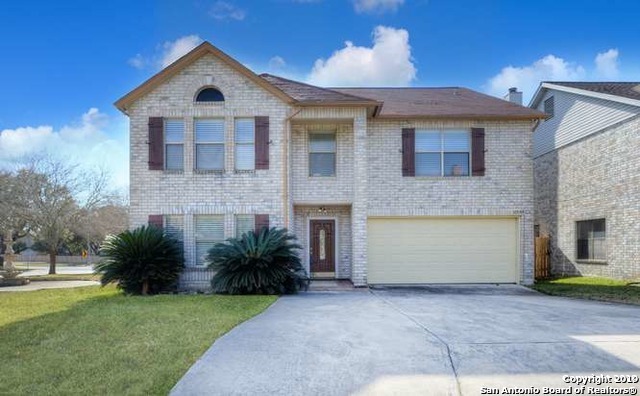 The highly desired neighborhood is convenient to both 1604 an"
"Welcome Home to a unique 2 story split level home with 4 bedrooms and 2.5 bath and 3636 square feet on greenbelt lot! Large game room downstairs with fireplace, 3 bedrooms and full bath. Main level has formal living, dining room , large family room and fireplace. Master bedroom is HUGE with fireplace and seating area. Beautiful recently replaced deck and lower level has covered patio. 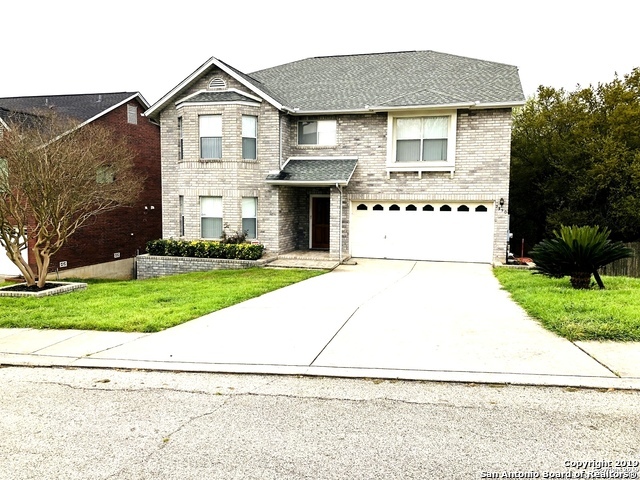 Recently replaced roof, appliances and flooring." "Please verify Schools and Room Dimensions. Home is Beautiful an Move in ready! New Stove and Microwave, Dishwasher, and upgraded New roof with a Five year warranty! Come See this Home today! It is Spacious and has all the room you need!" "Corner lot home, situated in a great location near HWY 281 & 1604. Well designed layout with fabulous room spaces. 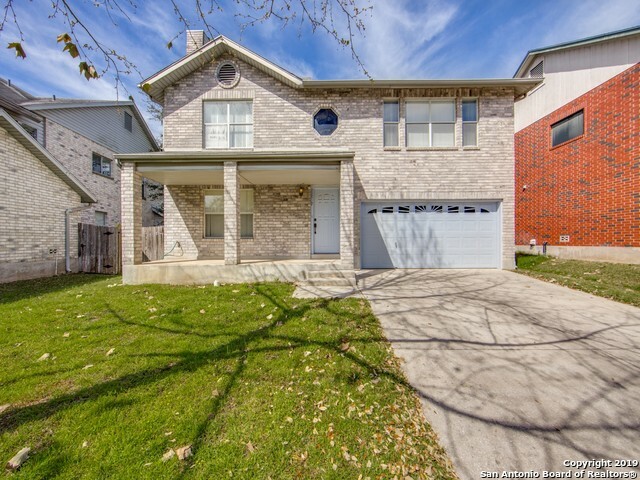 Home features 4 bedrooms, 2.5 baths, 2 living areas, dining, upgraded kitchen. Upstairs and downstairs balcony. Excellent upgraded home* Ceramic Tile Throughout downstairs* Huge master*"
"Reduced! Very Well Maintained Home, Pride in Ownership. Very Spacious, Island Kitchen & Additional Kitchen in Walk-In-Pantry for Frying and Baking. Eat in Kitchen, FULL Game-Room, Formal Living Room & Dining Room, Big Bedrooms Size for Large Family. Large Backyard and Great Deck for Entertaining Guests. Plenty of Parking with Two Car Garage and Additional Parking. 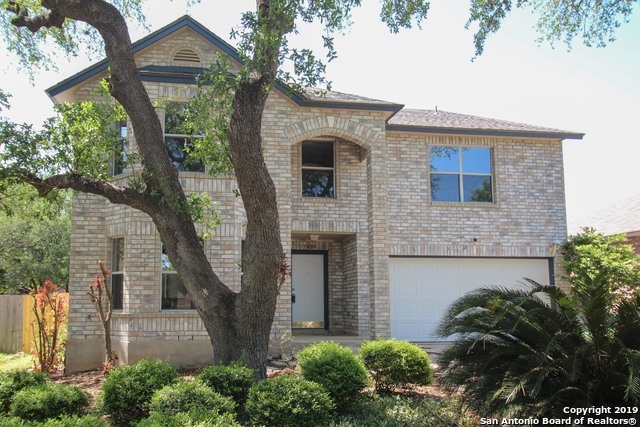 Sprinkler System, Premium Water Softener & Purifier, Mature Oaks and Huge Backyard." "Welcome Home! 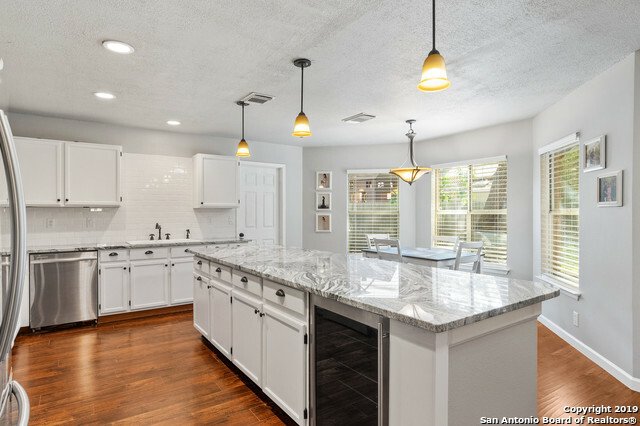 This stunning home has been completely remodeled and updated to include a new roof. An open concept kitchen inspires culinary perfection and is the heart of the home. Anchored by a large granite island, this gourmet paradise is equiped with a suite of stainless steel appliances. Oversize bedrooms all with wood floors. Luxury master suite with spa like bath and his and hers closets. Ceramic tile and wood floors throughout. Quaint enclosed covered patio, matured trees and fenced yard"
"Gorgeous spacious Open Floor Plan, 4 bdr, 2.5 bath, 2 car garage, beautiful laminated wood floors, tile in kitchen, beautiful kitchen cabinets, large island, new dishwasher, water softener, 2018 A/C, S/S appliances, His & Hers separate master sinks, His & Hers walk in closets, spacious bedrooms with walk in closets, sprinkler system, large backyard, mature trees, easy access to Randolph AFB, 281, 1604, shopping, dining & entertainment, This Home is protected by Landmark Home Warranty. A MUST SE"